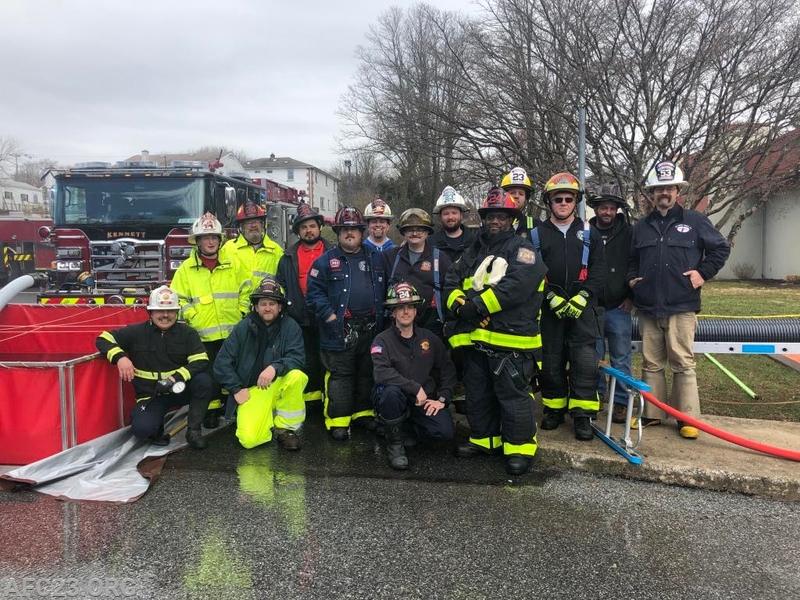 On Sunday, March 31st, Lieutenant Franks and Hoseman Schlimme participated in a rural water supply class hosted by the Kennett Fire Company. During the class, members trained on techniques in providing water to a fire scene in areas that don't have access to fire hydrants. 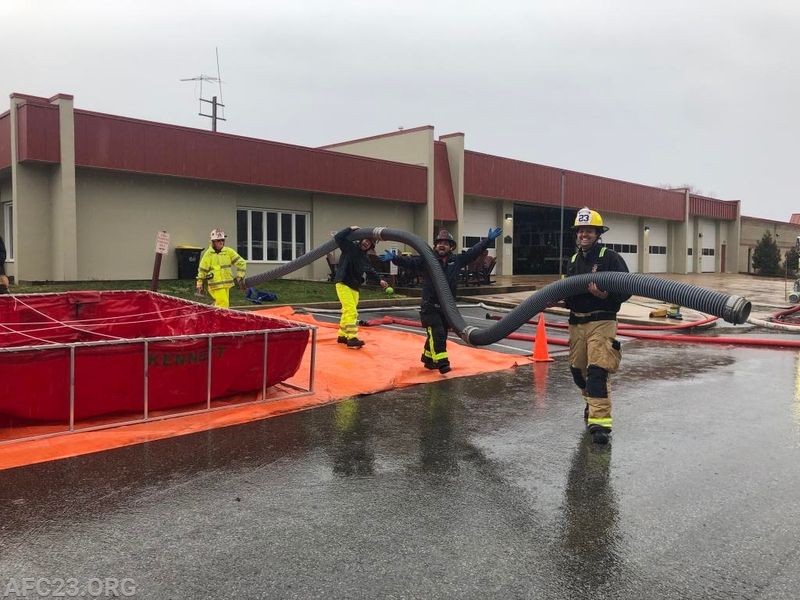 Crews learned proper ways to set up a tanker fill site and dump site to sustain a flow of 2,000 gallons per minute flow of water at a fire scene. Members were also taught multiple ways of obtaining a draft from a source of water including how to troubleshot pump failures to still get water to the fire scene. During the training, Engine 23-1 was used as the fill site engine, filling Tanker 24 in less the 3 minutes with 3,000 gallons of water. Engine 24 was set up as the dump site engine drafting from the port-a-tanks to supply a simulated fire attack. Thanks again to the Kennett Fire Company and Water Thieves LLC.